Chris Poe's commitment to you. Chris Poe believes it is his responsibility to learn and understand all that he can about what is important to his clients, their families and their businesses. This creates the foundation for a long-term relationship where, by providing innovative solutions and outstanding service, Chris hopes to warrant the confidence and good faith of the executives, professionals and business owners with whom he works. Let Chris Poe help you ensure your financial future is all you want it to be. Chris Poe is the chairman of the board and founder of the "I Have a Dream" Foundation of Charlottesville. In 2000 Chris and his staff adopted 63 "dreamers" at Clark Elementary School with the promise of providing free in-state college tuition alongside a year around curriculum of educational, social and cultural enrichment programs. Our "dreamers" are seniors in high school now and college funding is secured. 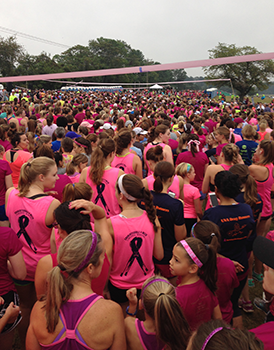 Northwestern Mutual is a proud sponsor of the annual Charlottesville Women's Four Miler Race. Northwestern Mutual is the marketing name for The Northwestern Mutual Life Insurance Company, Milwaukee, WI (NM) (life and disability insurance, annuities, and life insurance with long-term care benefits) and its subsidiaries. Christopher C Poe is a Representative of Northwestern Mutual Wealth Management Company® (NMWMC), Milwaukee, WI (fiduciary and fee-based financial planning services), a subsidiary of NM, and federal savings bank. All NMWMC products and services are offered only by properly credentialed Representatives who operate from agency offices of NMWMC. Representative is an Insurance Agent of NM and Northwestern Long Term Care Insurance Company, Milwaukee, WI, (long-term care insurance) a subsidiary of NM, and a Registered Representative of Northwestern Mutual Investment Services, LLC (NMIS) (securities), a subsidiary of NM, broker-dealer, registered investment adviser and member FINRA (www.finra.org) and SIPC (www.sipc.org). Christopher C Poe is primarily licensed in Virginia and may be licensed in other states.